Hey Peekapals! Thanksgiving is right around the corner and there’s no better time of the year to encourage students to practice being grateful! There are many benefits associated with expressing gratitude. For example, based on a University of Kentucky study (2012), people who are actively grateful are more empathetic and less aggressive. 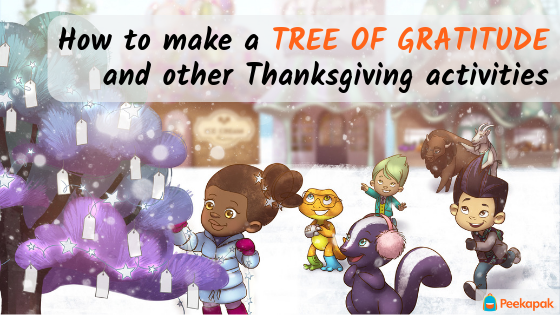 In The Peekapak Pals and the Tree of Gratitude, the Peekapak Pals are feeling grumpy, but a surprising turn of events helps them realize that there’s a lot in this world for which to be thankful. Here are some way for you and your classes to show their gratitude. Use bristol board to create a tree. 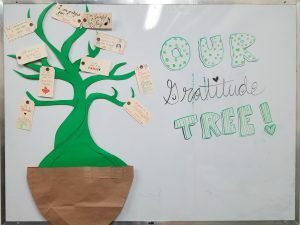 Have students write what they are grateful for on tags and hang them up! For a more environmentally-friendly option, use recycled materials like old newspapers to create a tree. Get creative – these trees will look great no matter what combination of materials you use! Use an actual tree! Do you have a class plant? Have student hang their “I’m grateful for…” tags on plants around the classroom. 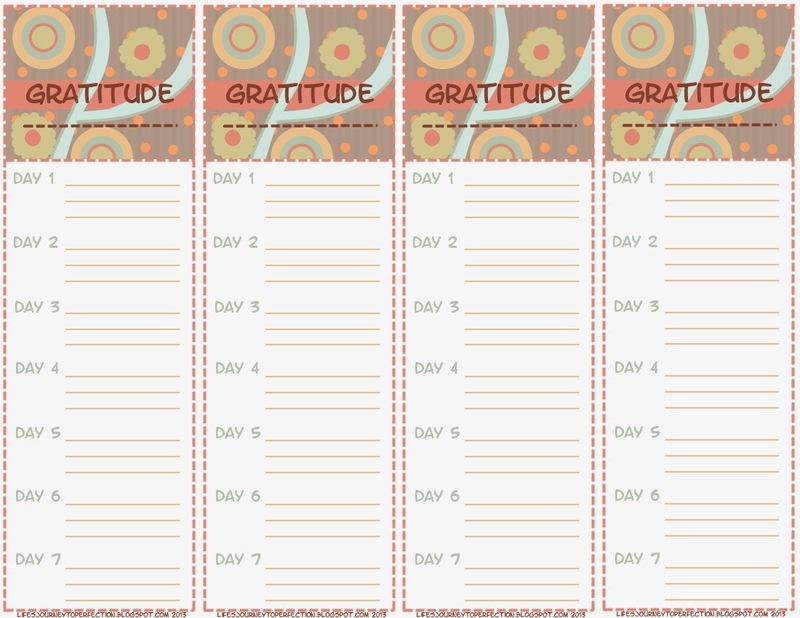 A great way to practice expressing gratitude is by keeping a gratitude journal. Have students create their own journal or provide them with a template that they can personalize. You can give students a few minutes during class to reflect and write down what they are grateful for on a weekly or daily basis. Check out some of these templates for morning and evening gratitude journalling, daily gratitude journalling, journalling with inspirational quotes, monthly journalling, and comprehensive journalling. Having students share what they’re grateful for with each other is a great way to get a conversation going. Hold a gratitude circle where you go around the circle and have each student share one thing they are grateful for. For an anonymous option, create a gratitude jar. For this activity, students write down something they are grateful for and put it in a jar. Then pass the jar around the classroom and have each student read one of the submissions aloud. It’s important to help students understand that they can appreciate things about themselves too. Encourage students to not just be grateful for the people in their lives, but to also be grateful for the things about themselves that make them happy. How is your class showing gratitude this Thanksgiving season? Share your gratitude stories with us on Twitter by tagging us @Peekapak. Happy Thanksgiving!